I've been fishing table rock lake since I was a kid. I love this lake. I'm a touring pro and fish all over the country. 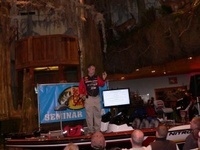 I've been angler of the year central pro am and the premier Branson Fishing Guide. 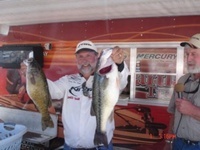 Let's take a tour of beautiful Table Rock Lake and I'm going to show you what you're going to be fishing, why you want to hire a fishing guide and the boat you'll be fishing from, everything is provided. Come on and let's go fishing.